Have you been thinking about what sparkling wine you can buy for your Valentine without breaking the bank? Champagne may have first popped into your mind, but maybe you could also consider Italian Prosecco? Prosecco is generally made, lighter bodied and maybe a bit off dry, making it a fun indulgence to share with friends and family. I recently received a bottle of Bottega Gold Brut (BC $24.99) to sample. 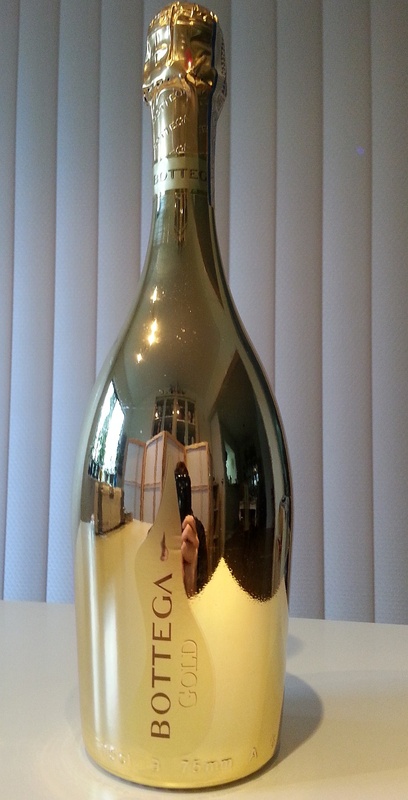 It comes in a very striking gold coloured bottle, making it look very special for a special day like Valentine’s Day. In the glass this wine is pale lemon in colour. A light intensity nose of flowers and citrus, with a hint of lime in the background. This one is dry on the palate with medium plus acidity and light body. Agressive, medium sized, creamy bubbles. Citrus, apple, a hint of lime, and some lemon rind on the palate. Medium length. Overall a straight forward wine to enjoy with friends. It should pair well with crab cakes, stuffed mushrooms, goat cheese, and a fresh fruit salad. If you are interested, here is the website for the Bottega winery to get more info on this wine and their other wines. Is your spouse or significant other tired of the same old Valentine’s day card or chocolates? Why not spoil him/her with sensual French cuisine? Bistro Pastis in Kitsilano has this wonderful menu. Check it out! Valentine’s Day is just a little over 1 month away. Have you started to plan how to pamper your significant other. Of course a nice dinner and cocktails would be appreciated. But what cocktail to mix? How about one that uses chocolate? Here is a recipe I recently recived in my email. Give it a try and hopefully your evening will be full of romance. 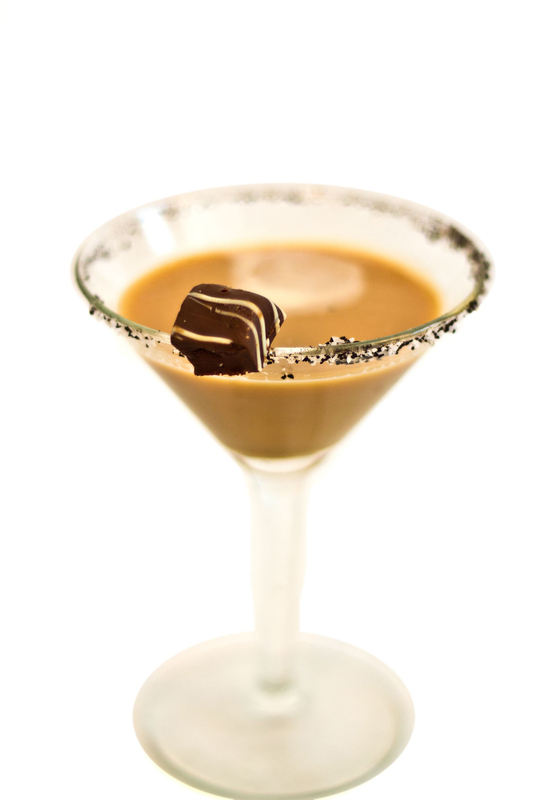 A Valentine’s Day dinner, Iceberg Vodka’s Chocolate Seduction is sure to impress with rich chocolate and coffee highlights in this drink made for two. 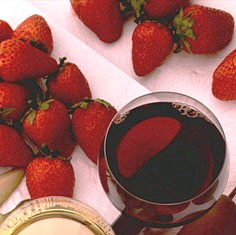 French cuisine and wine brings out the romantic in all of us. With Valentine’s Day this week, Bistro Pastis has a special menu for you and your spouse or significant other. Check out the details. The rack of lamb looks really good. So does the raspberry dark chocolate tart. Don’t forget to have a bottle of bubble too. Enjoy! In France, ‘love’ is an art celebrated every day. Practice really does make perfect and there is no one better at it than the French. However, even if you’re not French, you can pretend you are on St. Valentine’s Day. Our special Valentine’s table d’hote will transport you to France in the bat of an eyelash – five courses for only $75 with an optional wine pairing for $45 available only on Thursday, February 14th – St. Valentine’s Day. Are you and your spouse, boyfriend, or girlfriend wine lovers? 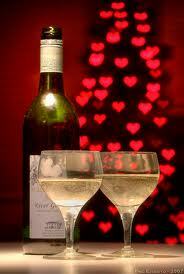 Why not visit Burrowing Owl Winery in the Okanagan and have a getaway and celebrate Valentines Day at the same time? They have some package deals for Valentines Day as well as other times you just want to get away and relax. This info about their packages just came through my email today. Enjoy! February 1, 2012 (Vancouver, BC) – This spring Burrowing Owl Estate Winery is offering visitors three tempting specials. There’s never been a better time to plan your stay at this world-class wine country destination! For more information, or to make your reservations, please call 1-877-498-0620 ext.3. Burrowing Owl Estate Winery: Recently named one of the Top 10 BC Wineries by Wine Access magazine the winery is devoted to producing world-class wines using creative viticultural and winemaking processes that are in harmony with the unique ecosystem where the grapes are grown, which includes the northernmost tip of the Sonora Desert. Burrowing Owl Guest House: The winery guest house is nestled in the vineyard and has 10 tastefully-appointed rooms, each with a private deck and fireplace; There is also a 25 metre pool and all-season outdoor hot tub. The Cellar Lounge is excellent for business meetings and special events. Sonora Room Restaurant: Opened in 2004, the winery restaurant overlooks 140 acres of picturesque vineyard from both the patio or inside the warm and inviting dining room. The philosophy of the culinary team is to showcase many of the South Okanagan’s local producers of local organic produce, fresh, seasonal fruits and artisan breads and cheeses. An exclusive wine list is changed regularly to include a selection of Burrowing Owl library wines that are no longer publicly available for sale. And, the wine selection is enhanced with alternate premium Okanagan wines chosen to complement the menu. Township 7’s Taste the Stars Valentine’s Affair! Still thinking of what you can do memorable with your significant other for Valentine’s Day? Something wine-related is always good. Township 7, located in Langley, has two special seminars you might want to attend. The first event about how to make a “champagne” style sparkling wine is FREE, while the other is a seafood and wine pairing at a reasonable $30 per person cost. Here are the details. Have a great Valentine’s Day celebration! Join Township 7 for their Taste the Stars Valentine’s celebration on Saturday February 12 at their picturesque winery in Langley, just a 45 minute drive from Vancouver. For the first time this year, they are holding special seminars on méthode champenoise winemaking and sabrage, chocolate making, and seafood/wine pairing. Enjoy a decadent, entertaining and informative time and participate in the traditional French style of crafting champagne with Township 7 winemaker Bradley Cooper and proprietor Mike Raffan, learn how to make delectable truffles by Chocolaterie Bernard Callebaut, and what pairs best with oysters on the half shell with 1 Fish 2 Fish. Partial proceeds from the Valentine’s activities will be donated to the Starlight Children’s Foundation. Discover how traditional handcrafted champagne is made in France and join Township 7’s proprietor and winemaker in the fun and sometimes messy and challenging process of dégorgement, then adding the dosage and corking of sparkling wine! Complimentary winemaker seminars at 1 and 3 pm. Impress your paramour and indulge your senses with an early Valentine’s celebration of fine wine, paired with raw oysters and seafood canapés. Enjoy live music by the popular local band, We Play for Wine, while you taste your way through two rooms featuring seafood delicacies by 1 Fish 2 Fish, enjoy winemaker Bradley Cooper’s discussion of wine food pairings and complete your visit in our romantic chocolate room with Jacqueline Pearson of White Rock’s Chocolaterie Bernard Callebaut, rolling dark chocolate truffles. If you live in the Kelowna area, you may be interested in trying this wine and chocolate pairing event. Two great things on their own, and even better together. Plus it is in time for Valentines! Here is the announcement, by Volcanic Hills Estate Winery. Enjoy! You are cordially invited to attend our Complimentary Valentines Chocolate and Wine Pairing Event. Come and sample a wonderful handpicked selection of Roger’s Chocolates paired with our award winning wines. Are you a romantic person like me? Like to do something nice with your partner for Valentines day? How about this weekend get away at Hester Creek Winery in the Okanagan. Their details are below. Enjoy! Saturday, February 12th, let romance be the order of the day. 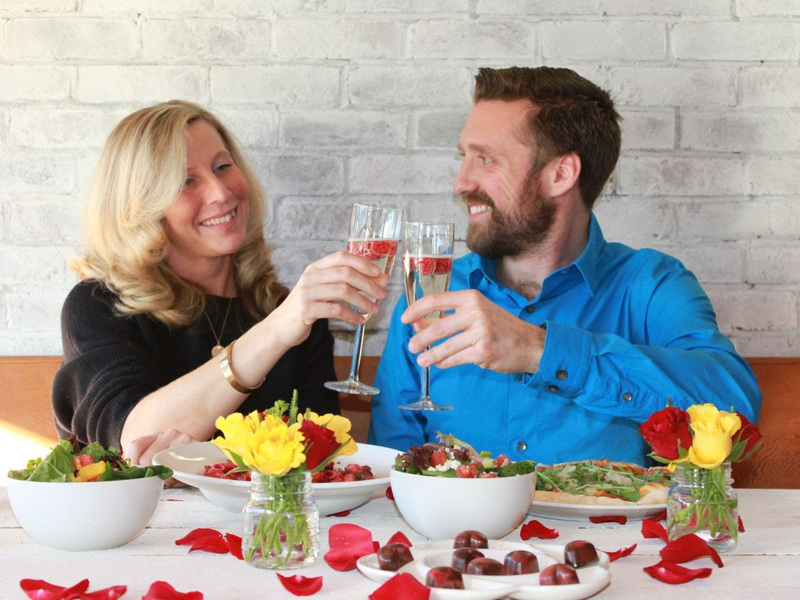 Celebrate the Valentine in your life with a dine & stay weekend at ‘The Villa’ at Hester Creek. Saturday evening, enjoy a multi-course dinner designed and prepared by Chef Roger Planiden. Hester Creek Estate award winning wines are skillfully paired with local and seasonal flavours intended to inspire an evening to remember. The incredible artistry of classical guitarist William Leggott creates the perfect mood for this intimate evening. Later, retire to one of our Deluxe Guest Suites, unrivaled in the South Okanagan for their dedication to quality and excellence. Each suite is beautifully appointed with the utmost attention to detail. As well, a delicious breakfast awaits you in the morning. Make this a truly romantic weekend get away by adding a second night to your stay. Cost: $455.00 per couple includes one night in a deluxe “Villa” suite, dinner, live music, wine, & gratuities.